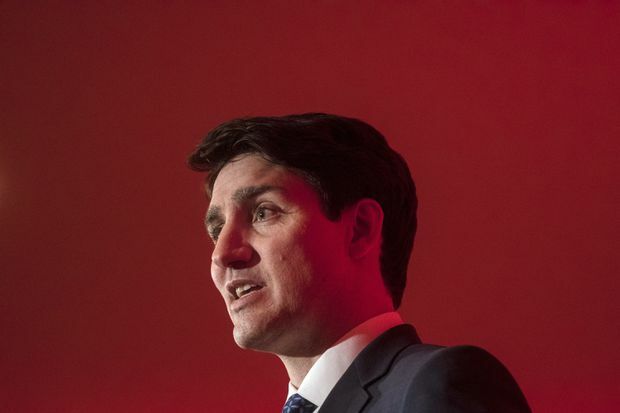 Prime Minister Justin Trudeau told reporters on Thursday he did not direct Ms. Wilson-Raybould to abandon criminal proceedings against SNC-Lavalin, but refused to say whether his office pressed her to do so. The officials, who were granted anonymity by The Globe because they were not authorized to speak publicly, said Canadians should not conflate or confuse a “vigorous debate” in the Prime Minister’s Office or among the PMO and members of cabinet over how to handle SNC-Lavalin’s charges with an effort to put pressure on Ms. Wilson-Raybould. A robust discussion is not pressure, one official said. Another official said the PMO had every right to raise the prosecution case with the justice minister, because a conviction could destroy the company and hurt thousands of workers at SNC-Lavalin. An official said, however, that setting aside SNC-Lavalin’s prosecution was merely one option discussed to help the company and its workers, and that no decision was made. Opposition parties and a former judge are calling for a probe after The Globe reported on Thursday that Ms. Wilson-Raybould was unwilling to direct the Public Prosecution Service of Canada in the fall of 2018 to waive court proceedings against the Montreal engineering and construction giant in favour of a negotiated settlement without trial. On Friday, she issued a statement explaining her silence on the matter, which has dominated the federal political debate since Thursday. “As the former minister of justice and attorney-general of Canada, I am bound by solicitor-client privilege in this matter,” she said. The PMO declined to say whether it would waive solicitor-client privilege in this case. Mary Ellen Turpel-Lafond, a former Saskatchewan judge who teaches at the University of British Columbia’s Allard School of Law, said solicitor-client privilege should not be used to conceal possible wrongdoing. “Not waiving the privilege seems to me to be a way of saying, ‘We are not going to allow anyone to see what happened here,’” she said in an interview. She called for an independent investigation by the RCMP, the federal Ethics Commissioner, a Commons committee or an independent judge or investigator. The potential wrongdoing, she said, includes questions of criminality such as obstruction of justice. The public’s faith in the justice system relies on such independence, she said. SNC-Lavalin has sought to avoid a criminal trial on fraud and corruption charges stemming from an RCMP investigation into its business dealings in Libya. It has been hoping to strike a remediation agreement – a deal in which criminal prosecution is set aside and a company accepts responsibility for wrongdoing, pays a financial penalty, relinquishes benefits gained from the wrongdoing and improves its corporate compliance rules. Official Opposition Leader Andrew Scheer announced on Friday that Conservative and New Democratic MPs on the Commons Justice committee are calling for urgent hearings on the matter and will request nine high-ranking government officials to testify, including Ms. Wilson-Raybould and Mr. Trudeau’s principal secretary, Gerald Butts. Kathleen Roussel, the director of the public prosecution service, told SNC-Lavalin on Oct. 10 that it would not be asked to negotiate a remediation agreement. Nine days later, the company filed for a judicial review of that decision. A senior government official said that after Ms. Roussel’s decision, a debate ensued at senior levels of the government over Ottawa’s options now that the director appeared intent on heading to trial. In December, Mr. Butts spoke to Ms. Wilson-Raybould about the SNC-Lavalin remediation case, according to Mr. Trudeau’s deputy communications director, Cameron Ahmad. He said the justice minister raised the matter with Mr. Butts and he told her to talk to Privy Council Clerk Michael Wernick, the top federal civil servant. When she was shuffled to Veterans Affairs, Ms. Wilson-Raybould released a statement saying the justice system must be “free from even the perception of political interference.” It was an unusual move for a member of cabinet. The opposition parties also want to hear from Ms. Roussel, Mr. Wernick, Justice Minister David Lametti, Mr. Trudeau’s chief of staff Katie Telford, Quebec adviser Mathieu Bouchard and senior adviser Elder Marques, and Jessica Prince, chief of staff to the Minister of Veterans Affairs. SNC-Lavalin lobbied federal officials more than 50 times on the topic of “justice” and “law enforcement" since 2017, according to the federal lobbyists registry. This includes 14 visits with people in the PMO. Those they spoke to included Mr. Butts and Mr. Bouchard – whom they met 12 times - and Mr. Marques. Mr. Ahmad, speaking for the PMO, would not say whether Mr. Bouchard or Mr. Marques spoke to Ms. Wilson-Raybould about the SNC-Lavalin prosecution. “I don’t think we will be speaking about meetings that staff had. We won’t go into any further details,” Mr. Ahmad said. Mr. Scheer said he hopes the Liberal majority on the Commons justice committee will vote with the opposition to allow Mr. Trudeau’s key lieutenants and Ms. Wilson-Raybould to testify. A committee vote on holding a hearing is expected next week. NDP Leader Jagmeet Singh, campaigning in British Columbia, called for probe by federal Ethics Commissioner Mario Dion. On Thursday, Ms. Wilson-Raybould’s father, Bill Wilson, posted a tribute to his daughter on his Facebook page.